The Tinting Man is offering a $10 tinting discount on all single cab utes, and $20 discount on dual cab utes for the month of October. Don’t miss out, mention this special offer when booking to receive your discount. Having trouble seeing out of your windows? The Tinting Man can strip that old bubbled, cracked, peeling tint for less than $90 for the whole car! 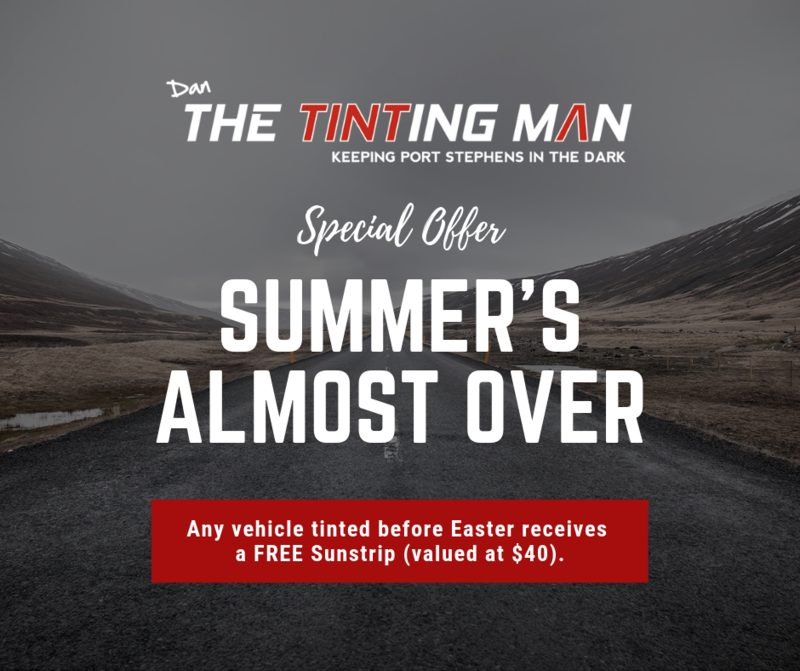 If you want your windows stripped and re-tinted, The Tinting Man is offering you a 10% discount, during the month of September, on normal window tinting prices. Don’t miss out on this deal, contact us to make your booking today!